Please read these Terms of Service (“Terms”, “Terms of Service”) carefully before using the www.Essaywriting.Expert website (the “Service”) operated by Essay Writing Experts (“us”, “we”, or “our”). 1.1. ‘Agreement’ refers to your acknowledgement that you understand our conditions therein after being regarded as Terms and Conditions. 1.2. ‘Writing Experts’ refers to us, essaywriting.expert site, the entity that is offers custom writing services to clients as per terms specified in this Agreement. 1.3. ‘Writer’ refers to the individual who is employed by the company to work as per terms defined by the company. 1.4. ‘Customer’ refers to an individual who places an Order with the Company to be delivered with a Product as per his/her criteria and guided by defined terms and conditions explained in this Agreement. 1.5. ‘Order’ refers to a paid customer’s request for a custom writing service herein referred to as a Product. 1.6. ‘Order Progress’ defines the specific stage at which an Order has reached. 1.7. ‘Product’ refers to an electronic document is herein referred to as a Completed Order. 1.8. ‘Product Revision’ is an edited version of the original Product initialized by Customer. 1.9. ‘Support Representative or Administrator’ is the part of the Company’s administrative structure with the sole responsibility of assisting and coordinating Order Progress and updating Customer on need basis. 1.10. ‘Quality Assurance Department’ is the part of Company’s organizational structure with the responsibility of reviewing the quality of Product delivered by a Writer before sending it to the Customer. 1.11. ‘Messaging System’ is a collaborative feature that ensures communication between the Support Representative or Administrator or Operator and the Writer. 1.12. ‘Verification Process’ is a procedure required from Customer in order to confirm his/her identity to prevent fraudsters. 2.1. The Company is committed to protecting Customer privacy and it will never share or resell any personal information, including emails, telephone numbers or credit card information with or to any third party. 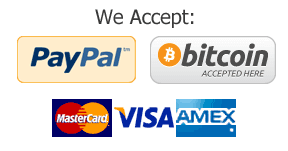 All the online transactions are processed through the reliable and secure payment platforms especially PayPal. This saves the Customer from the risk of their information being phished or disclosing their credit/debit card data. However, the Company does not guarantee reckless disclosure of the credit/debit card data that may be committed without its fault and/or beyond its control. 2.2. Specific pages on the Company’s web site requires the Customer to fill-in his/her name, email, phone number or home address (for instance in the order-form). The Company hereby assures the Customer that it does not use the information in any other way, other than contacting the Customer and for Verification Process in regard to his/her Order. All extra files provided by the Customer for Verification Process are held temporarily in in the Company’s database and are deleted immediately the Verification Process is completed. 2.3. So as to maintain privacy and confidentiality of the Customer, direct contact with the writer is prohibited. However, the Customer is capable of using interactive messaging feature on his customer area for that purpose and/or Company’s Support Representative or Operator or Administrator is available 24/7. 2.4. All necessary information that the Customer provides in order descriptions and via additional files to facilitate Order Completion becomes visible to the Writer once Order is paid. The Company does not take responsibility for information voluntarily disclosed by the Customer while placing an Order but it highly persuades the Customer not to include any personal or billing information (email address, phone number etc) besides disclosing Customer identity when communication with the writer via Messaging System. 3.1. The Company has a platform that enables it to hire qualified and competent experts in various fields of study for the provision of autonomous and custom writing services provided to the Customer as an exclusive reference material designed to assist the Customer in completing his/her academic commitments or assignments. Thus, it is agreed that the Company makes no guarantee regarding the Customer’s grades as a consequence or outcome of submission of the completed Order or Product to a learning institution. The intention of this Agreement is categorically provide the Customer with a unique reference document or related services as per Customer’s instructions. Therefore, it is clear that anything provided by the Company is meant to be used for reference/research purposes only. The Company is not responsible for failure on the part of the Customer to read and understand the content of the Product or Completed Order or improper usage of content therein. 4.1. Placing an Order. When filling in the Order form, the Customer has the sole responsibility to register using a valid email address and provide valid phone number through which he/she can be reached on. In multiple occasions during order preparation, the Customer may be contacted. Providing invalid telephone number and email may affect preparation of the Order and thereby violate terms and Conditions in this Agreement; thus leading to loss of any claim to the implied guarantees or warranty by the customer. The Company will only start working on the Customer’s Order when the full amount of the Order(s) has been paid for. The Company is not responsible or liable in cases where the Customer has fails to pay for the Order on time. The Customer is encouraged to thoroughly scrutiny the details of the order while filling-in the Order-form. Discount is given to the customer after an agreement with Administrator or Support Representative. The Discount Code is filled in in the Order form to reduce the cost of the Order. 4.2. Instructions. The company works on an Order based on instructions provided by the Customer. Therefore, instructions must be precise and accurate. In cases where instructions are not clear, the Customer will be requested to provide additional instructions to facilitate completion of the Order. The Customer is made to understand that once an Order has been completed, revision requests must be based on original order instructions. Any modifications of original Order instructions (this is considered as a deviation from initial Order instructions) will not be offered for free but will be regarded as Editing and is offered by the Company at a fee. 4.3. Sources. The Writer is instructed to use relevant and genuine sources to facilitate completion of his/her Order. Sources include but not limited to books, peer reviewed journals, newspapers, magazines, online publications etc., unless the Customer specifies the sources to be used. In case the Customer requires specific sources, the Company expects that he/she provides them within the reasonable time to facilitate completion of the Order. Failure in this respect will result in violation of terms and conditions of this Agreement and failure to claim any guarantee or warranty implied herein. 4.4. Choosing the Academic Level. In the event that the preferred academic level while filling in Order form is the improper quality/academic level, the Customer shall assume liability in that respect whether it was made accidentally or not. The Customer has the sole responsibility to choose the correct academic level while placing the order. In case the Customer realizes that the wrong academic level was chosen, then the Customer is required to contact Administrator or Support Representative immediately for assistance. 4.5. Checking the Messaging System. This is an easy system that offers interactive communication with both the Support Representative and the Writer. The Customer is required to often check their email and messages from either the customer or the writer. Any concerns, clarifications or concerns should be addressed promptly via either the messaging system or email. 4.6. Wrong Order Placement. The Company reserves exclusive rights to not process or request the Customer to resubmit Order instructions in case there is inconsistency with original description. The customer is advised to keenly review Order description before proceeding to payment process. However, in case it happens, the Customer should contact Support Representative within reasonable before expiry of the deadline. 4.7. Following Order Progress. We strongly encourage our customers to keep in touch with Support staff and to constantly monitor the progress of the order through their account. Some of the various status an order maybe under include: Order on Queue, Order in progress, Complete order, Order under revision and Cancelled order. The customer is welcome to download the document of complete order. 4.8 A customer can request a draft from the writer when the order is in progress. 5.1 The customer should always ensure that he provides correct email and other contact information to avoid any inconveniences when the order is being delivered and such a time when any issue regarding orders arises. Our Support staff is always available to assist our customers in matters regarding delivery and downloading of complete orders respectively. 5.2 We shall not be responsible for failure by the customer to download his product in time in case of timely delivery from our side. No refund shall be issued in case of lateness by the customer to download his product in time. An order may be cancelled by the company when there is suspicion of fraudulent activities by the customer. Reimbursement is not guaranteed in case of the above mentioned case. However, a decision must be reached to determine the final action. It is the right of the customer to request for a free revision to ensure his/her full satisfaction. However, no new instructions should be provided apart from those that were provided initially. Therefore, the customer should always give all the necessary instructions and materials when placing the order. The Quality Assurance Department reserves the right to cancel the revision or limit the number of revisions in situations like, but not limited to: change of initial instructions; abuse of revision option, unreasonable or unjustified return of the assignment. However, in case it is a genuine case, then the revision shall be done free of charge and within requested deadline. 9.1. The paper/service ordered at essaywriting.expert is guaranteed to be plagiarism-free and within set deadline. Papers are checked by the highly improved anti-plagiarism software to make sure that the Product/paper is 100% plagiarism-free. The Company has a zero tolerance policy for plagiarism. 9.2. The Company does not and cannot promise that proofreading, editing, formatting services will be free of plagiarism. Products and other papers that are NOT initially prepared or made by this organization will not be reviewed or scanned for probable occurrence of plagiarism. Company shall not refund any amount in the event that a proofread/formatted paper or Product is considered to be plagiarized. 9. 3. If the Client desires to revoke an Order, it may be made at any period before to the Order completion. 9.4. All cancellations and refunds should be communicated and expressed in writing an e-mailing or Order Messaging System from our Support Team. In the unlikely occurrence that the Client is not contented with the Product or get the Product after the stated time limit, the Client may demand a partial or full refund. It is the sole discretion of the Company to accept or reject any demand on a discrete case to case basis. 9.5. In instance of a refund demand owed to poor quality of the Product, the Client must give sustaining reasons, and instances to support the right for refund. Only once a convincing list of violations is given, will the demand for refund be sent to the Quality Assurance Department for more inquiry and refund demand approval. Kindly note that the Company can also request for extra resources or evidence to back the request. Quality Assurance Department retains the right to reject refund review if above-mentioned details or documents are not availed when the appeal is made. 9.6. If the refund demand is not lodged within seventy-two (72) hours after Order is completed it is to be presumed that the Client is contented with the Product and the Client will not be qualified for any refunded sum. 9.7. In a situation a complete refund is given out or Order becomes unpaid in situations where the service offered has already been delivered, the Company preserves complete authorship for the Product completed and retains the right to use, distribute, resell and share it to other third parties. The Client is then not eligible to use the Product for whatsoever purpose. 9.8. The Company shall not be answerable for lack of the Client to learn the material covered by the Product or for inappropriate usage of research covered therein and no refund shall be done by the Company in circumstance the Customer obtains a failing grade. For further details see section 2.1. 9.9. Store Credits recognized by the Client as a compensation for any happened inconveniences are not refundable. If unused in 365 calendar days from the day of accrual, Store Credits given out will be debited from the Client’s respective account and no longer be available for use. 9.10. The Company retains the right to communicate with the Customers by email regarding new services, discounts, special offers and any other information that the Company may consider beneficial for the Clients. 10.1. No waiver by the Company of any breach of this Agreement by the Client shall be held to be a waiver of any other or subsequent breach. All remedies afforded in this Agreement shall be taken and construed as cumulative, that is, in addition to every other remedy provided herein or by law. 10.2. The failure of the Company to insist on a strict performance of any of the terms and conditions of this Agreement shall be deemed a waiver of the rights or remedies that the Company may have regarding that specific instance only, and shall not be deemed a waiver of any subsequent breach of default in any terms and conditions. 1. The Company reserves the right to modify, amend, revise or otherwise change any and all provisions of this Agreement. The Customer expressly agrees to be bound by any subsequent modification, amendment, revision or changes as contemplated herein, by the continued rendition of services by the Company. It shall be the obligation of the Customer to review this Agreement for changes from time to time, since any changes are reflected in this section of the website. 12.1. Entire Agreement – This Agreement contains the entire stipulations between the Client and the Company, and no statements, promises, or inducements made by either party or agent of either party that are inconsistent herein shall be valid or binding, unless expressly authorized under this Agreement. This Agreement may not be enlarged, modified, or altered except in writing signed by the parties and indorsed on this Agreement. This Agreement shall supersede all previous communications, representations, or agreements, either verbal or written, between the Customer and the Company. 12.2. Severability – It is understood and agreed by the Customer that if any part, term, or provision of this Agreement is held by the courts to be illegal or in conflict with any law of the state where made, the validity of the remaining portions or provisions shall not be affected, and the rights and obligations of the Customer shall be construed and enforced as if the Agreement did not contain the particular part, term, or provision held to be invalid. 12.3. Law Governing – It is mutually understood and agreed that this Agreement shall be governed by the laws of the place where the Company holds its principal place of business, both as to interpretation and performance, or in any other place at the determination of the Company. 12.4. Place of Suit – Any action or other judicial proceeding for the enforcement of this Agreement or any of its provisions shall be instituted in the courts of competent jurisdiction in the place where the Company holds its principal place of business or in any other place at the determination of the Company.